When you’re on the road you want nothing weighing you down, which is why the Nathan 5K Running Belt is a top choice for many runners. 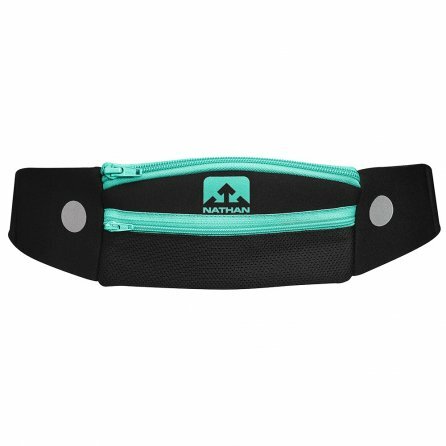 This convenient storage belt gives you all the space you need in a 3.6oz neoprene package. The adjustable belt helps you find that perfect fit, while the two zippered front pockets give you plenty of storage space. The larger main pocket has a phone divider with the front pocket serving as the ideal spot for your running gels and essentials. And because your 5K training often takes you on late night and early morning runs, the Nathan 5K Running Belt features reflective 3M™ Scotchlite™ detailing for improved visibility.